Some things in life are just meant to be, and go together hand in hand with one another (metaphorically speaking of course). Salt and pepper, eggs and bacon, garlic and ginger, and so on... Sometimes in life however, the pairings we come across aren’t quite as obvious and as plain to see as some people would have you believe. Take wine and food pairing for instance. Wine connoisseurs who enjoy sampling fine wines and dedicate much of their free time to learning all about wines, where they’re from, how they’re made, and what they go best with, will tell you it’s easy to pair up wines with certain foods. Other people however, who don’t drink wine that much, will probably not have the first idea about which wine goes with which foods. 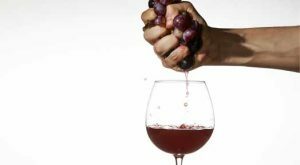 It’s true learning how to pair wine with food does indeed enhance the taste, texture, and flavor of the dish, working incredibly well, the problem is knowing which wines work with which foods. Champagne – Champagne is arguably the most well-known wine, often consumed on special occasions. It is a sparkling wine made from two types of grape: Chardonnay, and pinot noir. Most other sparkling wines are also made from these two grapes. Champagne is made in the champagne regions of France, and usually has an acidic, yeasty, and fruity flavor. As a general rule of thumb, any particularly salty food works incredibly well with champagne. Seafood also works extremely well with champagne, as does strong tasting red meat, especially game. Rich, creamy, and buttery sauces also work great. Merlot – Merlot is a red wine that is predominantly made from grapes grown in the Bordeaux wine regions. Merlot features, subtle plum and black cherry flavors and is not too overpowering on the pallet due to the fact that it has less tannin than other similar reds. As the taste is mild and not overpowering, merlot can be paired along with pretty much all forms of seafood, as well as red meats, and pork. It also works incredibly well with mushrooms, cheese, and citrus cream sauces. Chardonnay – Chardonnay is perhaps the best known of all white wines, and is one of the most popular white wines in the entire world. Chardonnay wine, made from the Chardonnay grape, originated in Eastern France, in the region of Burgundy, but it is now grown all over the world. The taste of Chardonnay is best described as apple, with hints of vanilla, oak, and even butter with a hint of citrus. Chardonnay is best served with full-flavored meals including: Lobster, strong tasting fish, white meat, red meats, and acidic and citrus sauces including BBQ and salsa. Chablis – Chablis is a dry white wine that comes from the North of France’s wine regions. The climate there is cooler than other regions, and as a result the grapes don’t ripen as much as with other varieties. Chablis is a leaner, drier, and more crisp wine with delicate flavors that work best with foods including: Light fishes, crab, and lobster, chicken, pork, and turkey. As far as sauces go, Chablis works best with cream based sauces.